All very strange don't you think? Wonder what poor old Queenie made of it today (apart from being probably p***d off that Tone rained on her parade and she had to change her Order of Merit lunch or whatever it was). Just not sure he's on my side. I think that Brown is going to be very different. He's already shown that he is willing to play political hardball. The trick he pulled with the Lib Dems last week was nothing compared with what he’s now doing to the Tories. I wouldn’t be surprised if we’re not in for interesting times of extremely oppositional politics with lots of dirty tricks. The Tories have been caught napping, having clearly not anticipated this early offensive. 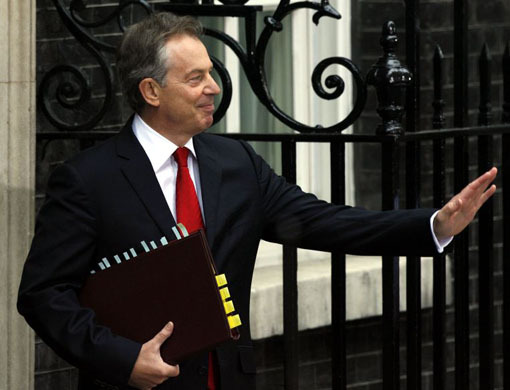 Blair, for all his faults, was a generally likable man who people could identify with. Politics for the opposition was hard while Blair kept things relatively polite. He also had a sense of humour and, even when he was wrong, he could win people over. I can’t see Brown winning anybody over. Not only does he lack charisma (which is much more important than people usually assume and a reason why Hague/Smith/Howard failed so miserably for the Tories) but he exudes an air of machiavellian depths. He is a cold calculating political animal who desperately wants power. I think it will be this desire which will lead to his eventual downfall. People will sense it and dislike it.